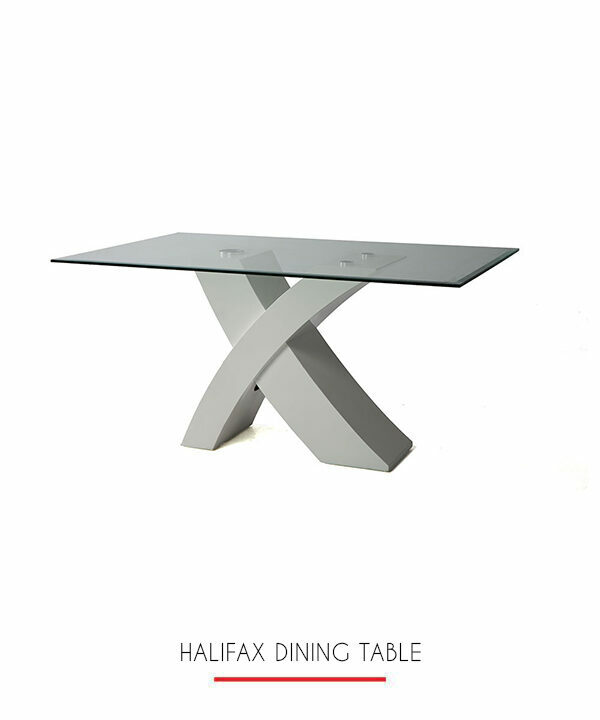 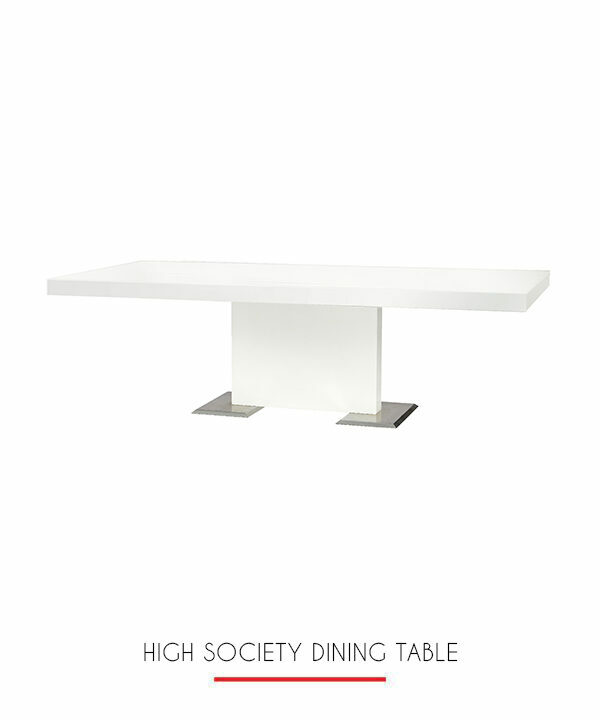 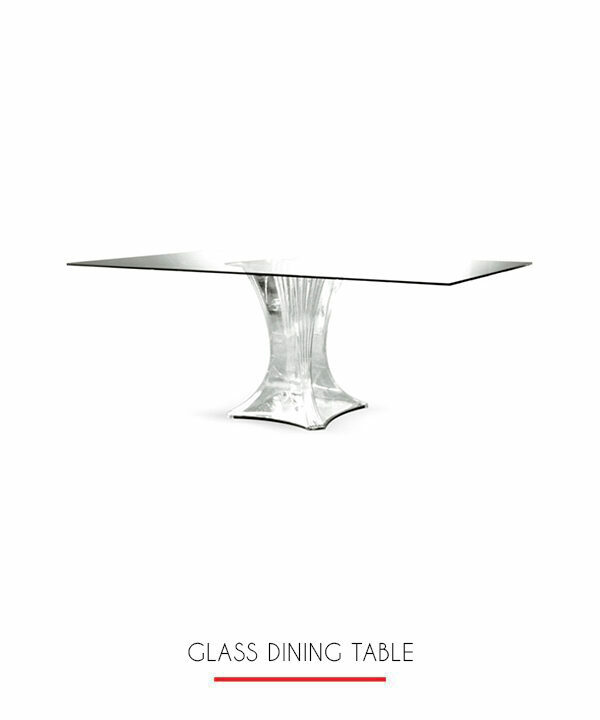 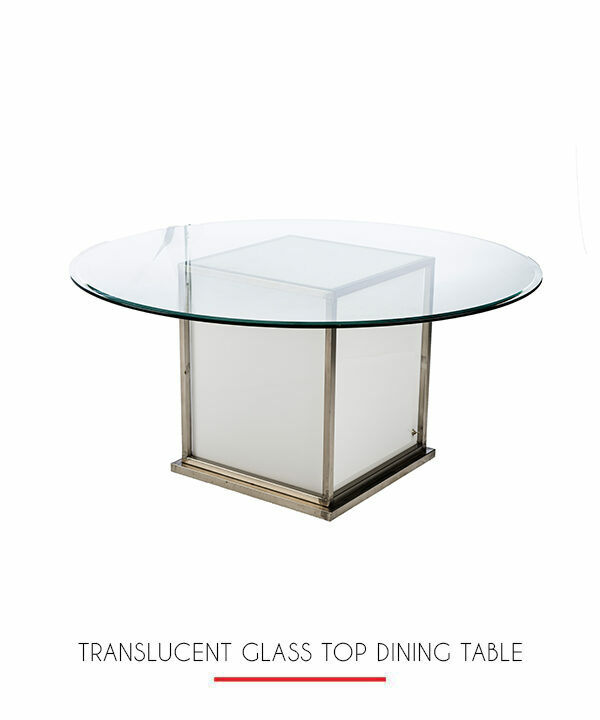 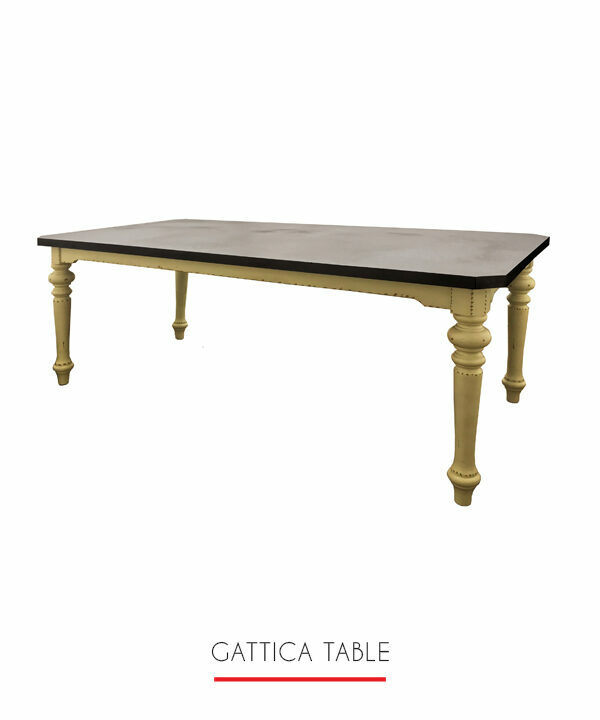 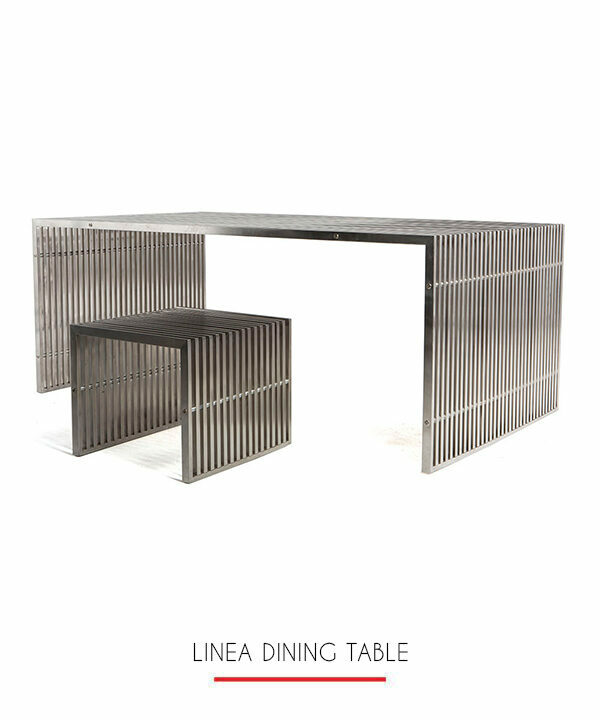 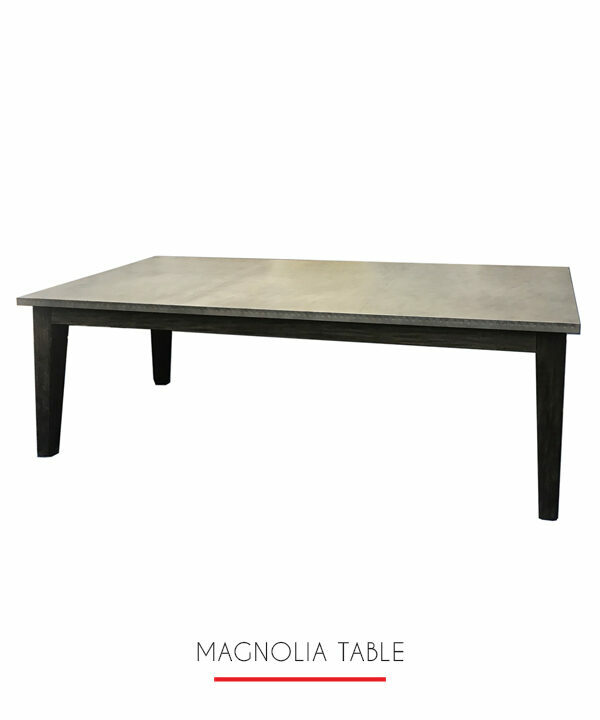 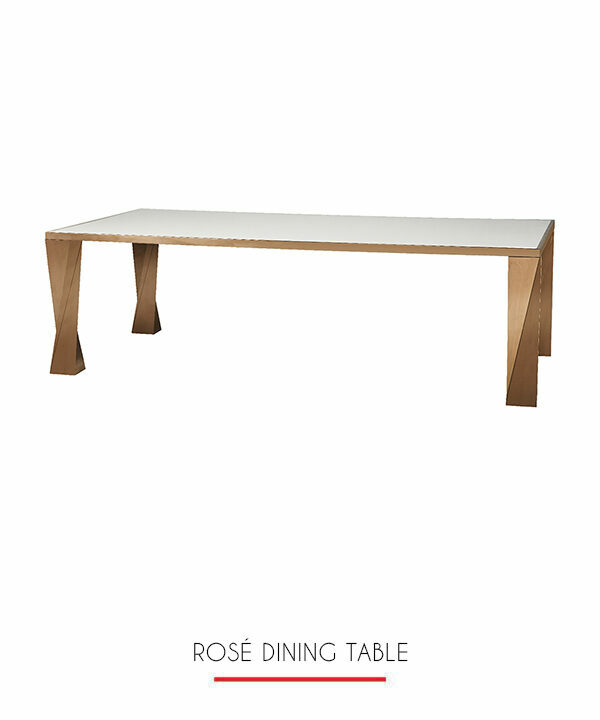 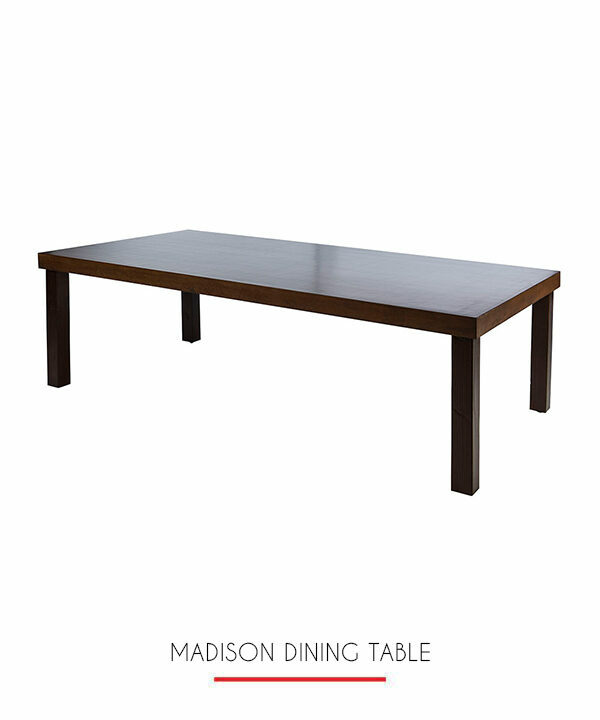 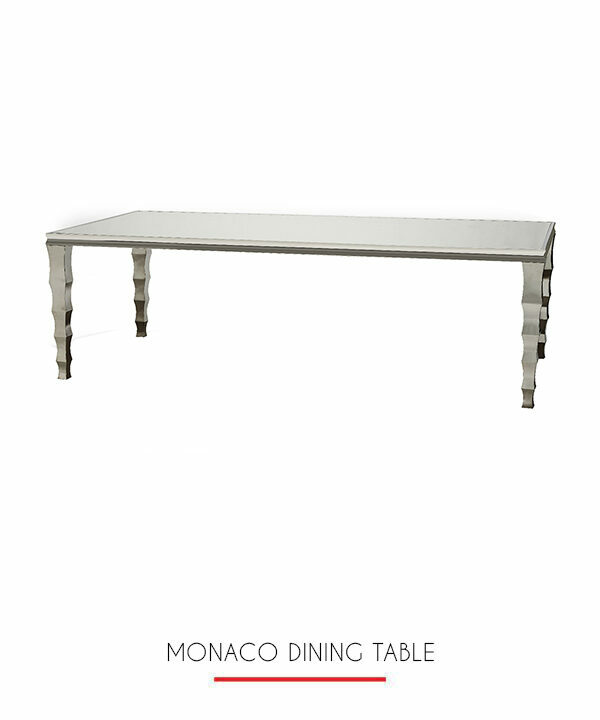 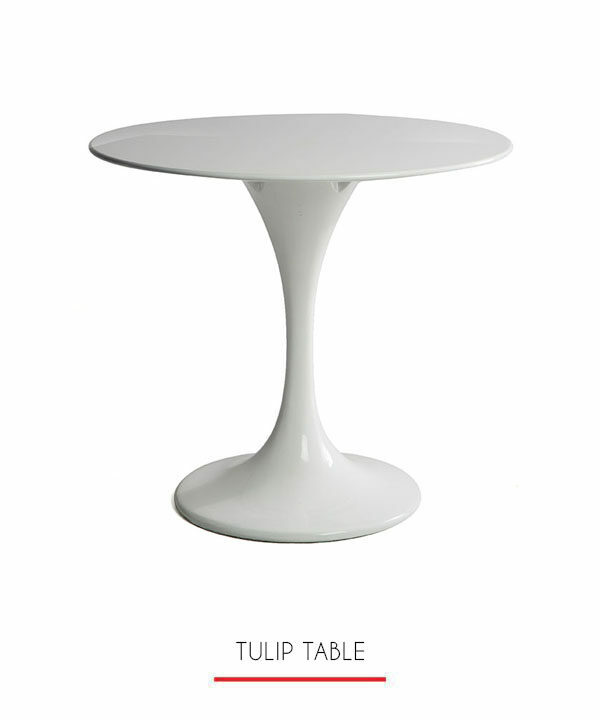 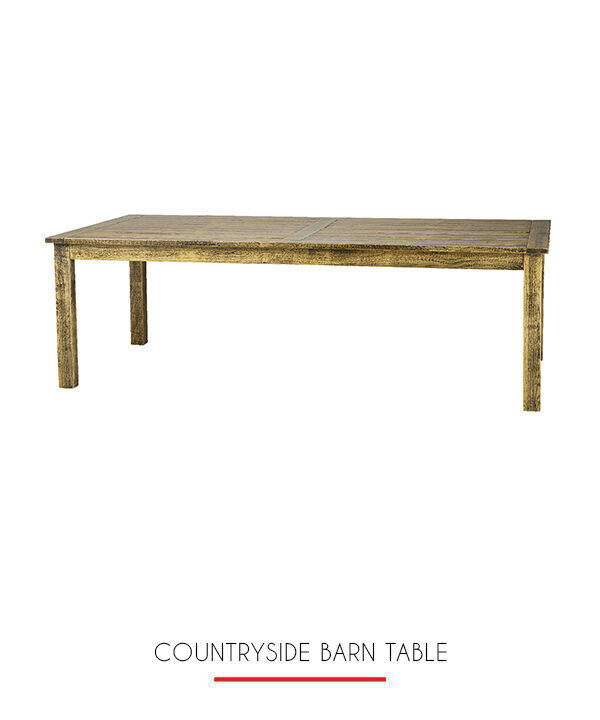 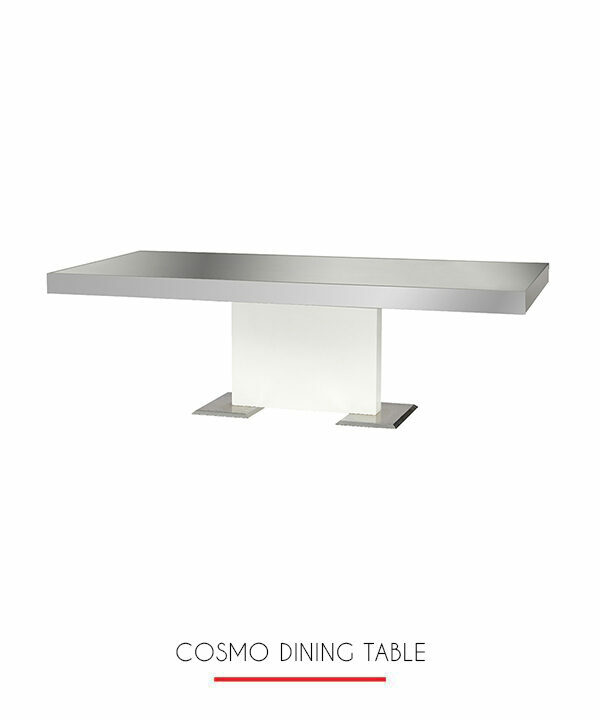 Our Gold Donatella Dining table has interchangeable tops you can choose from in mirrored, black or white. 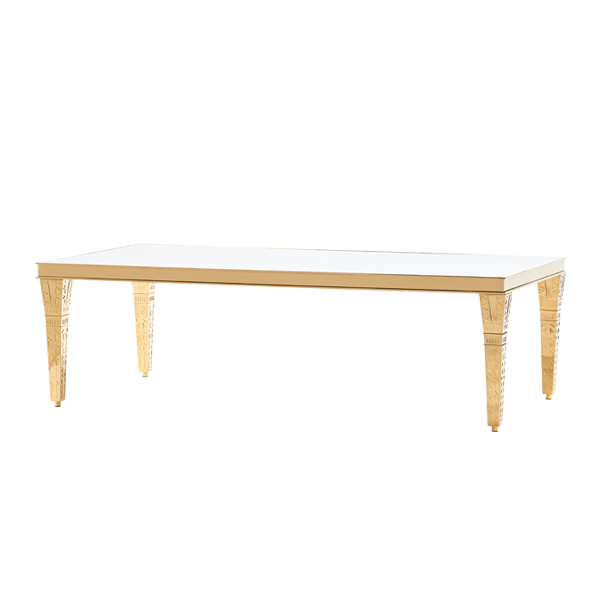 The gold legs are laser cut metal in an art deco style. 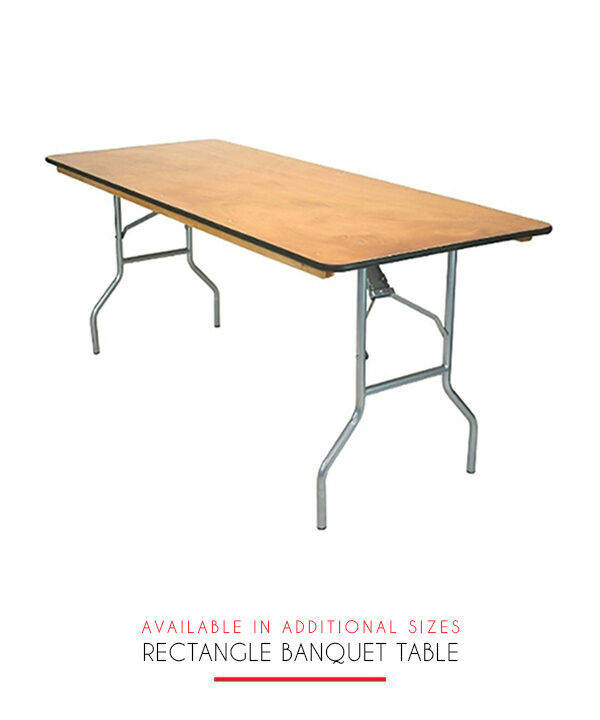 Generously seats 8-10 people. 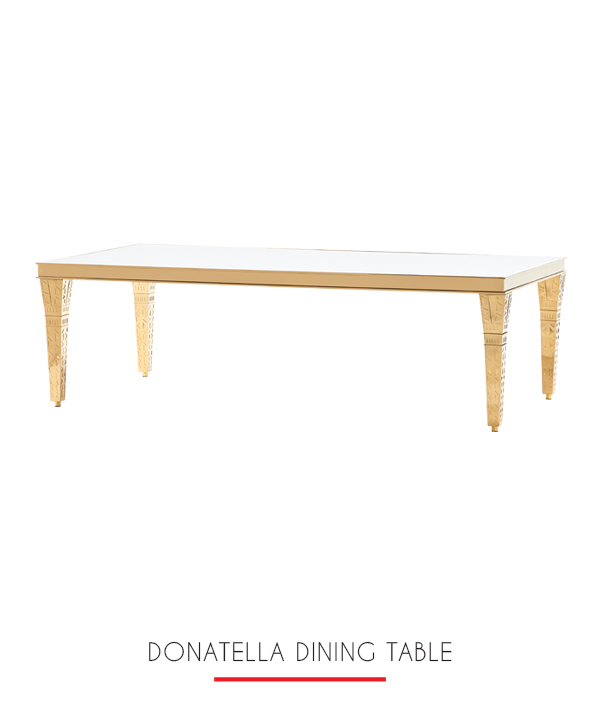 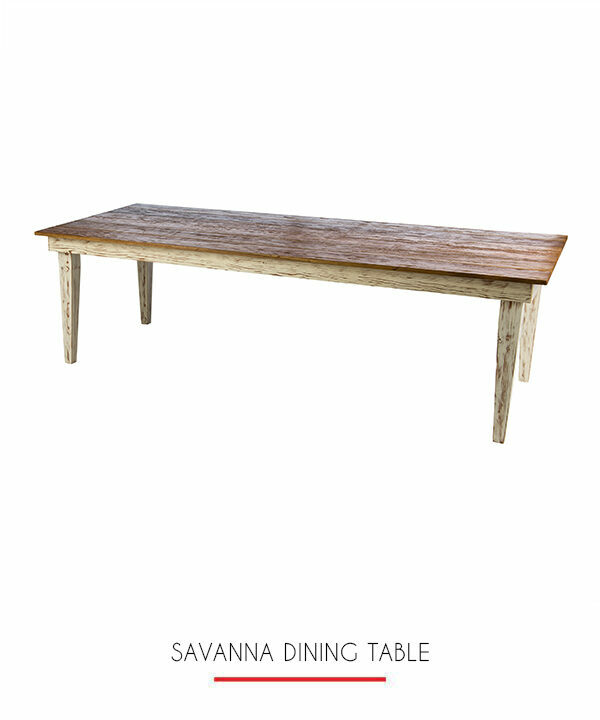 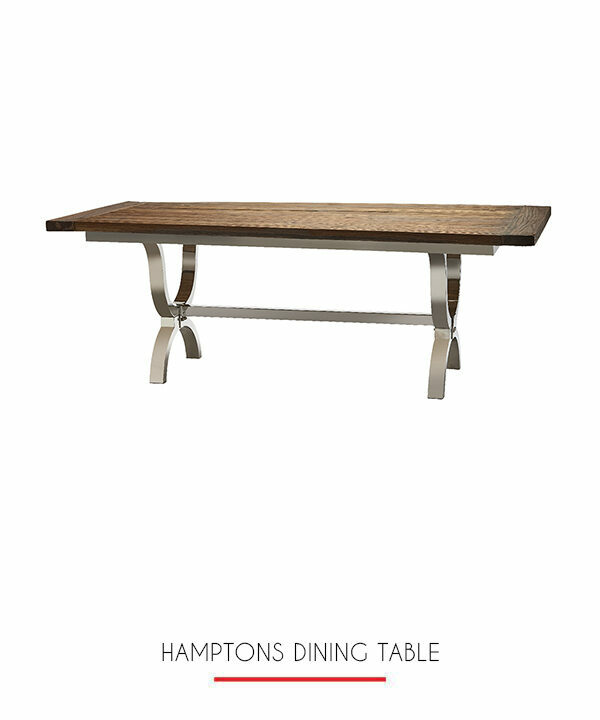 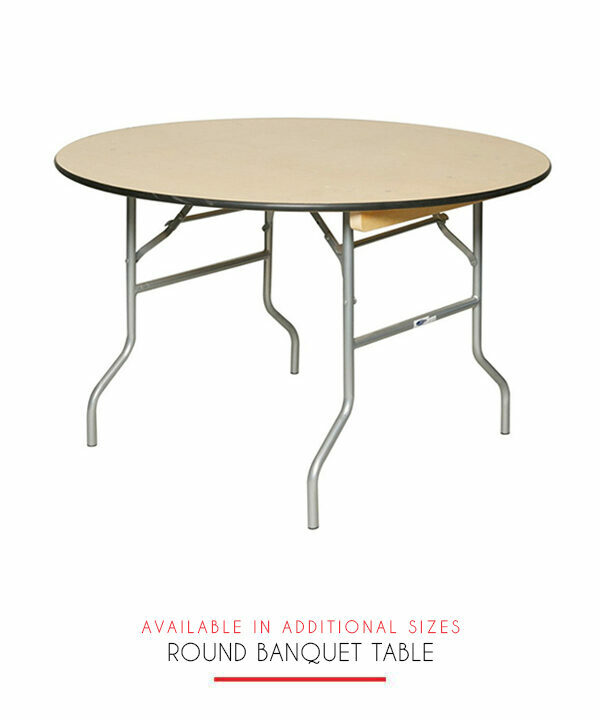 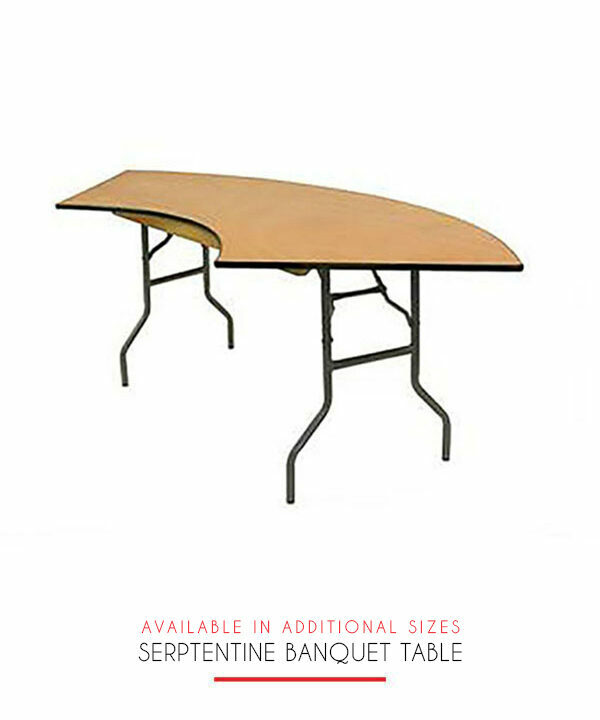 Pair with our Donatella Dining Chairs to complete this gorgeous table set up.